As the field of translation studies has developed, translators and translation scholars have become more aware of the unacknowledged ideologies inherent both in texts themselves and in the mechanisms that affect their circulation. 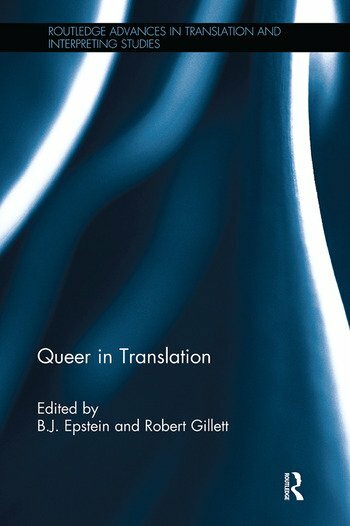 This book both analyses the translation of queerness and applies queer thought to issues of translation. It sheds light on the manner in which heteronormative societies influence the selection, reading and translation of texts and pays attention to the means by which such heterosexism might be subverted. It considers the ways in which queerness can be repressed, ignored or made invisible in translation, and shows how translations might expose or underline the queerness – or the homophobic implications – of a given text. Balancing the theoretical with the practical, this book investigates what is culturally at stake when particular texts are translated from one culture to another, raising the question of the relationship between translation, colonialism and globalization. It also takes the insights derived from intercultural translation studies and applies them to other fields of cultural criticism. The first multi-focus, in-depth study on translating queer, translating queerly and queering translation, this book will be of interest to scholars working in the fields of gender and sexuality, queer theory and queer studies, literature, film studies and translation studies. B.J. Epstein is Senior Lecturer in Literature and Public Engagement at the University of East Anglia, Norwich. Her work focuses primarily on literary translation, queer studies, and children’s literature, and intersections between them. She is the author or editor of several books and over 160 articles, book reviews, personal essays, and short stories. Robert Gillett is Reader in German and Comparative Cultural Studies at Queen Mary University of London. He has published widely on modern German-language literature and film and on all things queer, and is co-editor of Queer in Europe and a special issue of Sexualities on European Queer.